This feature allows a user to mark individual executions or a merged execution as a baseline. Simply selecting an execution and click on the "Make baseline" button. If detailed charts are not already selected, click to select one of the coverage metric charts button along the upper left-hand corner of the coverage pane. The detailed charts view displays the most recent executions and the currently selected baseline(s). Click the "Make baseline" button to toggle the baseline selection on or off. Once an execution is marked as a baseline, it cannot be deleted or removed via archiving by design. However, the baseline label can be removed in the GUI and the execution can then be deleted or archived as usual. Baselines are especially useful for marking the ending of a release cycle and providing comparison during current development to previously released products. 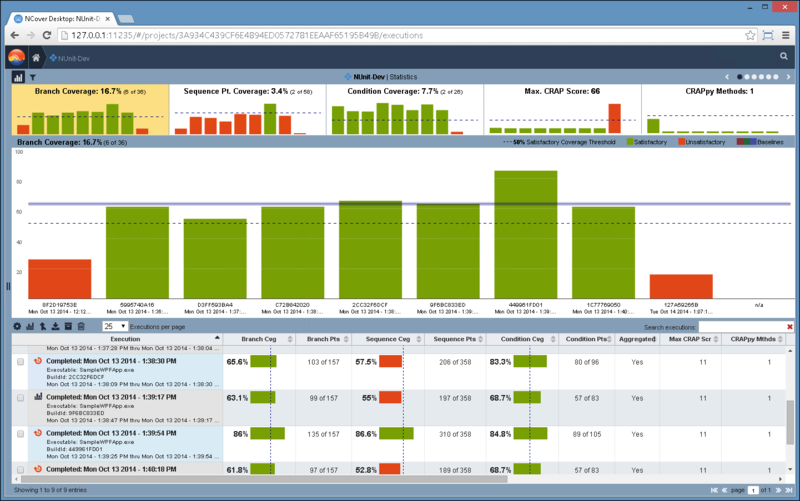 The NCover GUI will display up to three (3) of the most recent baselines in the history of the project. 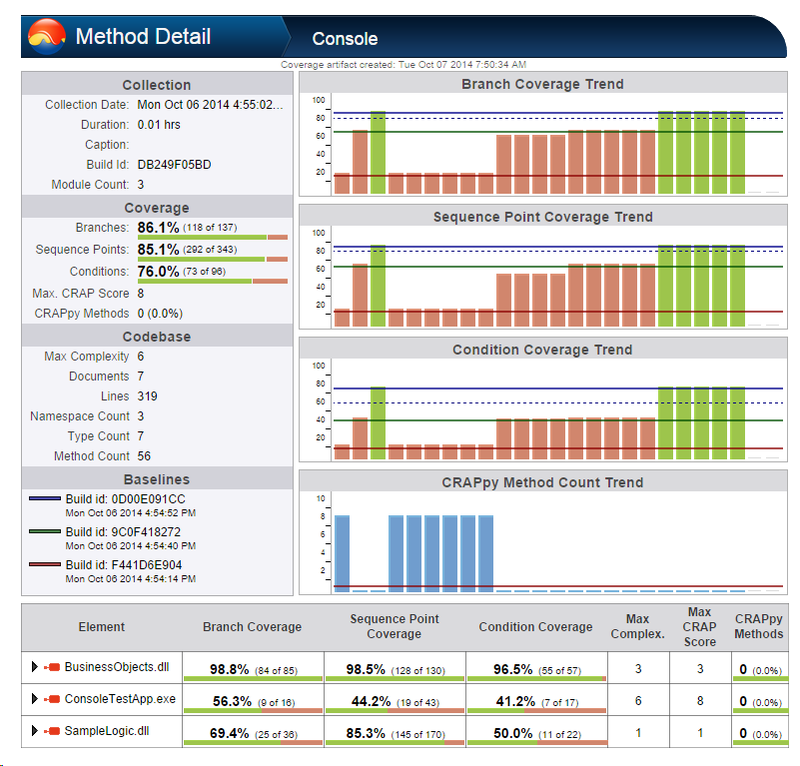 Project baselines are also applied to all coverage reports generated from the project. The trend charts will display up to ten (10) executions on Desktop and twenty (20) executions on Code Central. The baseline feature allows executions outside of this trend window to overlay the trend regardless of the baseline age.